What is so scary about customer service? Boo! 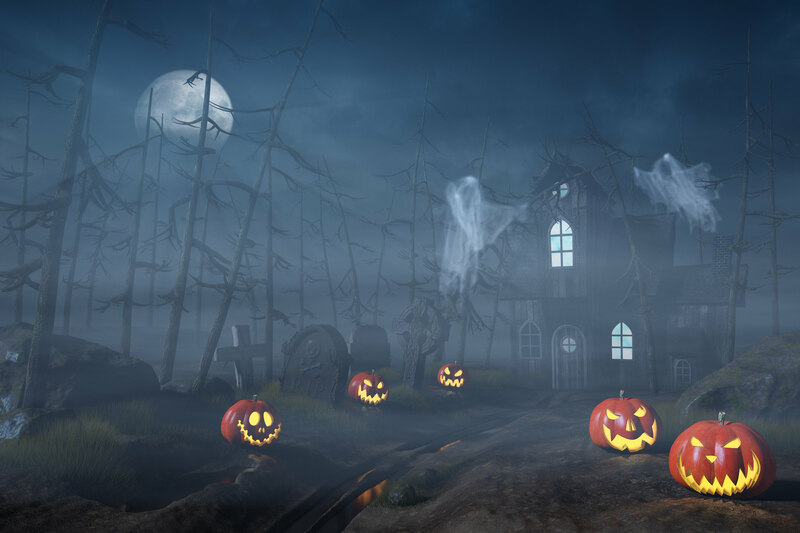 What goes bump in the night at your contact center? What ghost haunts your support team? Our Oracle Service Cloud Product Management team is a big fan of Halloween. So in the spirit of the season, we asked customers and partners what scares them most about customer service. In return, we’ve outlined a few tricks of the trade and treats (in the form of tools and resources) to help you face the dreaded perils and superstitions of customer service. You are not alone, friend. In fact many of your peers also said creeping costs keep them up at night. It jumps out of the shadows in discussions around training agents, making system adjustments, and building a single view of the customer. At Oracle we have placed a major focus on developing tools that increase self-service and improve agent productivity. Some of these tools can even fully automate service strategy. Our goal is find better ways for our customers to control costs while delivering exceptional customer experiences. You mentioned maximizing relationships with vendors…that is a great point relevant to controlling costs. Make sure you’re taking full advantage of the robust functionality within Oracle Service Cloud (e.g. knowledge base, workspaces, workflow, agent-scripting, guided assistance, chat, policy automation) . It’s designed to work together towards those goals while giving you insight into your business. When you work with other areas of your business, consider tying your Oracle Service Cloud implementation to the other products within the Oracle CX suite to maximize the value of products working together. For more immediate relief, check out the Service Cloud Analytics Cookbook. This resource is filled with reports to help you get more data-driven customer insights and ways to prove ROI, particularly the set of reports designed to help you understand your knowledge base performance. We hope these tools let you sleep a little better at night. We totally get it! One moment your organization is delivering a world-class customer experience, and then BOOM, something happens and everything changes. Maybe your customers moved to a new channel, or perhaps the competition followed your example and figured out how to sneak past you. The game can change at any moment. We deal with this phenomenon all the time when designing our software. We have to predict what is coming next, so we don’t get left in the dust. So how do we avoid nails in our coffin? The answer isn’t easy, but our advice is to keep experimenting, innovating, and examining your business. Occasionally, we see organizations implement Oracle Service Cloud and then put it on a shelf. You can’t do that. Stay humble, even when you’re at the top. Keep listening to your customers, agents, and leadership. Invest in your implementation. This makes you the disruptor rather than the disrupted. Machines are coming to life! Can you believe the changes that are coming?! I recently spoke to a large group of our customers in Texas, and the subject of IoT arose in almost every conversation. However, this doesn’t need to be scary. In fact, IoT will usher in the golden age of customer service. When I speak to customers about starting down the path of IoT, I often encourage them to think of the machine as another customer. Only this customer will let you know exactly why it is calling. It will communicate in a very consistent manner, can self serve, and probably won’t get upset if you ask it to repeat things. It is about creating a Machine Experience similar to your existing Customer Experience. Among customers that have already started with IoT, those most successful are those who embrace the innovation in cross-CX initiative. This means marketing, sales, and service all have a stake in making the project successful. Involving these other customer touch points often reveals better customer insight, and more organizational support throughout the initiative. These insights into the frightening facets of customer service came from our Oracle Service Cloud Hero Hub. If you’re interested in sharing your thoughts, stories, and experiences, please join the Oracle Service Cloud Hero Hub. Happy Halloween! Is the scariest thing trying to get your Service, Sales, Marketing teams/steakholders and any other team all pulling in the same direction regarding Customer Service? Nice article and I can certainly agree with those comments too! Is it me, or is anyone else surprised that Jeffrey is only a Rookie in the community? We all have to remember that our competitors(even for customers) are working hard when we rest and probably even more when we work. So, if we don't get updated with recent releases and product capabilities we just couldn't recommend best to our customers and we are left behind. For eg: In the recent two years - We have seen IoT, Augmented Reality, AI, Chatbots, Agent BUI so many new intros and I am still catching up with this and maybe it might hold good for most of us. It is important for us to educate the use of these to our Customers but first we have to learn what business problem it solves. My point here is - Customers are getting smarter each day and if we don't scale up and meet expectations - we might be delivering an outdated experience. Jeff may be a rookie, but he checks in on the community frequently!!! But I agree!